-- Trevain Murphy's new wife has been forcibly taken. He must do all he can to search for her without falling apart. His love was the noble Queen Aazuria, ruler of Adlivun, and he has been burdened with all of her responsibilities. The Alaskan man is unable to cope with the political unrest of his new nation, and turns to his wife's younger sister for help. Princess Elandria is expected to assume important administrative duties, but she is overwhelmed with depression and completely useless to her endangered people. With Adlivun facing a growing threat from the foreign submarine superpower known as the Clan of Zalcan, headstrong General Visola Ramaris becomes focused on seeking advanced military protection. 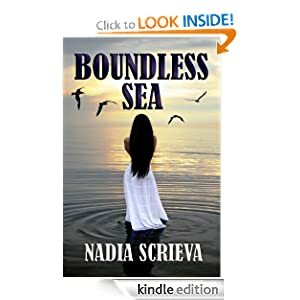 Going against the ancient mermaid tradition to remain hidden from land-dwelling societies, Visola decides to reveal herself to the American public and make an eloquent appeal for assistance. But nothing comes for free. The countries of the Pacific Rim invite Adlivun's diplomats to an APEC conference to present their conditions. The price for survival is outrageous and unexpected; if Trevain agrees, the small marine kingdom will play a crucial role in changing the infrastructure and economy of the world forever. But will the proud citizens of Adlivun sacrifice their freedom and dignity for security? Meanwhile, on a dark and desolate continent, a displaced queen has been captured and imprisoned by enemy forces. Her only concern is concealing the child she is carrying from her deranged captor. 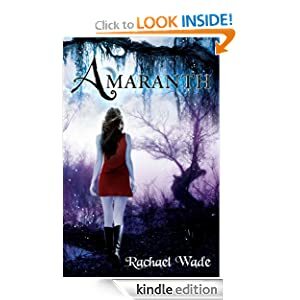 Thousands of miles from any sign of humanity, Aazuria must battle the coldest temperatures on earth in order to find her way back to her husband--but even if she lives, will she be in time to save her beloved Adlivun from itself? 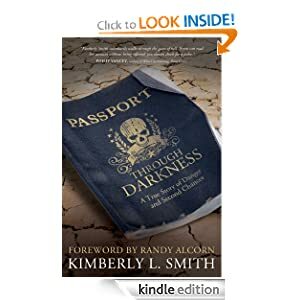 -- As she shares her extraordinary stories of fighting human trafficking as an ordinary mom, Kimberly Smith offers hope for readers who wonder if God is calling them to greater things. This heartbreaking, heart-lifting book is for anyone who longs to see God move their life from normal to one that matters. It is a call to readers to take one more step on their journey to know God’s heart. -- It is easy to become comfortable in a relationship. At times a woman may become so comfortable, that she takes her husband for granted. This may not be the intention, but with comfort comes routine, with routine comes a constant thought that your husband will always be there, and you begin to take advantage of him. You soon lose respect for him and he loses respect for you. This loss of respect turns into arguments over the slightest situation. With the lack of respect, communication deteriorates, resentment emerges, and the path to marriage destruction begins. Remember the man you fell in love? You need to take steps toward learning how to keep that love alive and become friends again. It’s not everyday that you find someone to share the paths of life with. Cherish the time of growing into maturity together. Life situations are meant to keep us stronger. 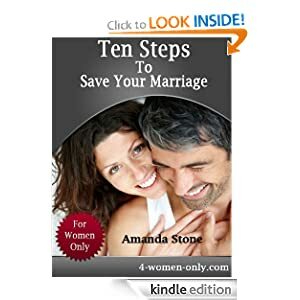 You grew together with the years invested in your marriage, you probably have children together, and now instead of remembering the good times, you tend to focus on everything your husband is doing wrong. Love in marriage is a gift that is not given out freely, it takes work, but it is worth it when you can live a life in pure happiness with the one that loves you for who you are. -- She'd once loved a bookmobile driver. Memories of that time with him poured in so rapidly she caught her breath. It'd been long ago, but her heart remembered. At first she remembered the love she'd felt back then, but the good memories didn't last long. She'd gone to the bookmobile as usual that last day, but nothing was to be the same again. She went to Brian with love and exciting news. She left alone. Not just without him, but alone in the world and apart from God. Is it ever too late to find happiness? 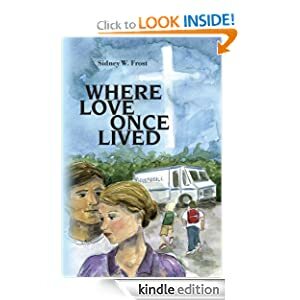 No, says Sidney W. Frost in his inspirational Christian novel, Where Love Once Lived. Brian Donelson returns to his hometown after a thirty-year absence to win back his beloved Karen. But Karen, who has grown closer to God than he has, harbors a secret that keeps her away from Brian at all costs. While driving the local bookmobile, Brian struggles to earn her trust, even as he grapples with secrets of his own. With God’s help, can these two find happiness? Beautifully written and told with wit and grace, Where Love Once Lived is a moving love story filled with the glory of God.